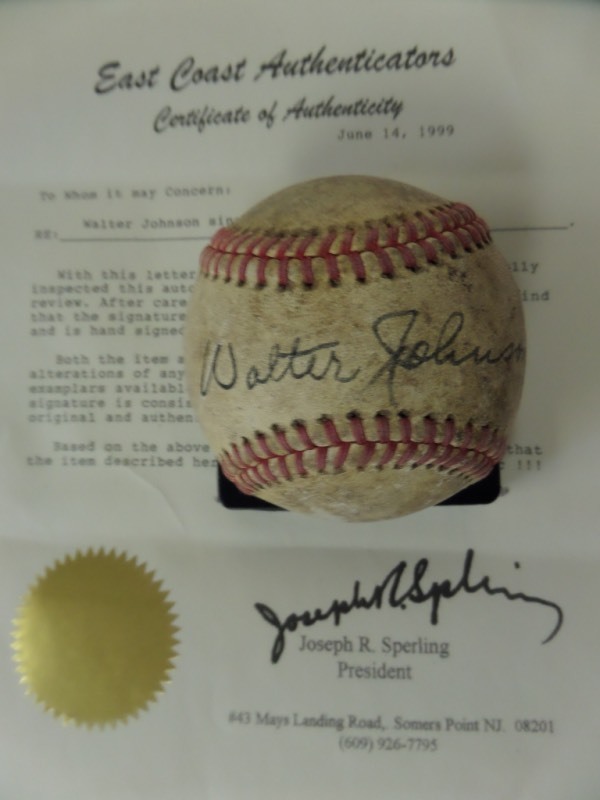 Coach's Corner - Walter Johnson single signed/certified vintage baseball! Go Back to Lot List Walter Johnson single signed/certified vintage baseball! This very old, red-laced baseball is unlabeled and comes to us in G+ shape overall. It is sweet spot-signed in black ink by the 400 game winner and '36 HOF Inductee himself, and comes with a full LOA from East Coast Authenticators for authenticity purposes. A terrific-looking MLB collectible, valued well into the thousands!